GALION — The Galion Police Department, Bucyrus Police Department, Crawford County Sheriff’s Office and the Crawford County Special Response Team — armed with a search warrant — raided a residence early today at 427 Harding Way West. This was a culmination of a drug investigation involving all three agencies. Officers arrested Anthony Ross, 41, of 427 Harding Way West, and seized suspected cocaine, marijuana, drug paraphernalia and approximately $3,500 in cash during the search. Ross was transported to the Crawford County Jail pending formal filing of charges for possession of cocaine, possession of marijuana, possession of drug paraphernalia as well as drug trafficking charges stemming from an investigation that originated with the Bucyrus Police Department. 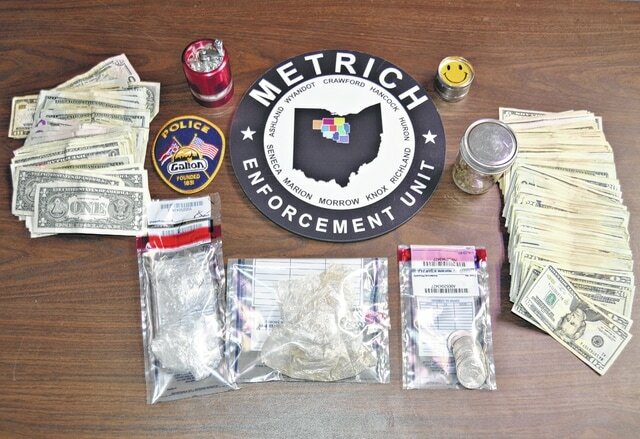 “Drug trafficking will not be tolerated in Crawford County,” said Galion police chief Brian Saterfield. This is another great example of all Crawford County law enforcement agencies working together. We encourage the community to continue to assist us in our fight. Please call the Galion Police Department TIPS line at 419-468-3840 with any information regarding possible illegal drug activity. Information from this story was made available by the City of Galion.